We provide you all of the marketing tools, you need to launch your new business! 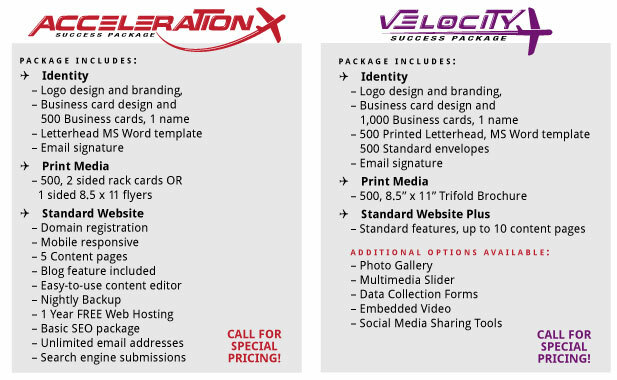 Our small business, Acceleration and Velocity Success Packages offer great value to new businesses just starting up or to established businesses in need of a makeover. Need something different? Call for a price quote for a customized package to suit your individual needs.